The BestPack? 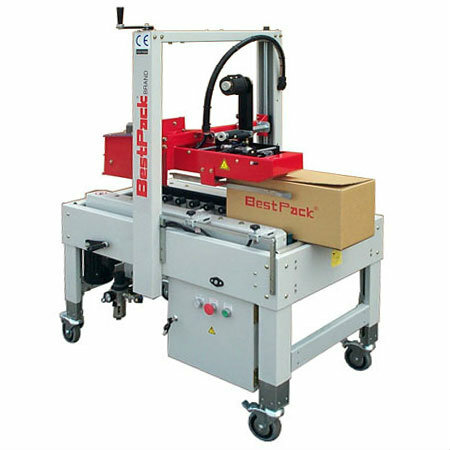 AS1E Series is a one edge high-speed carton sealer with indexer that is unique in its kind. Capable of sealing any carton needing only one seal, this is the only high-speed one edge sealer available in the world and it's only available at BestPack?. Included in this operator-free version is the BestPack? ARX Indexer. The Indexer provides a continuous flo and operator-free accessibility. Adjustable Bed Height from 24.5" to 30.00"